Discovery Team wins 1st place in the Girls’ Adventure in Math Competition! 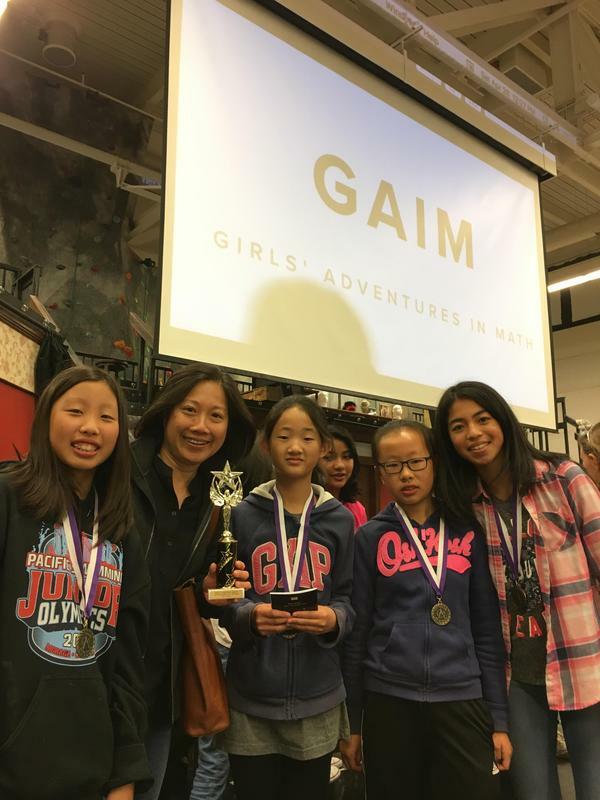 On Saturday, April 28, 2018, an upper elementary school team from Discovery Charter School 1 consisting of Kiana Behnami, Irene Chung, Makenzie Lee, and Brianna Zhang, beat 30 other teams from the Bay Area. Our competitors included students from schools such as Bullis Charter School, Nueva, Synapse, and North Star Academy, among others. Not only did our team win the local competition held in San Mateo, they also received the G.O.A.T. National Distinction as “The Greatest Team of All Time” for exhibiting a sublime teamwork! This means that they are among the top 5 teams in the country with the highest score! Our students worked together as a team, solving 16 open-ended questions in the first round, and 8 problems in the second round. The problems were challenging and the girls needed all the creative, out-of-the-box, and strategic problem-solving tools that they could muster. In the end, they prevailed and they brought home the first place trophy in the Upper Elementary Division. Congratulations Brianna, Irene, Kianna, and Makenzie!